I write a lot about physical wellness on my blog, but today I want to take some time to talk about something just as important to me: mental wellness. I have anxiety, and I have been looking for more ways to incorporate the practice of mindfulness into my life. Mindfulness means keeping the mind focused on the present moment. Many people achieve this through meditation, but with anxiety, still and silent meditation can be difficult. Active meditation works better for me, and I’ve been looking for more ways to incorporate it into my life. Active meditation is the practice of focusing attention to the present and calming the mind through simple, repetitive movements. Simple movements help direct my energy, taking just enough of my attention to ease my anxious thoughts. Today I want to share with you a fun new tool I tried recently for active meditation: Gami, a monthly origami subscription box. I think this is a great tool for people looking to de-stress or just learn a fun new hobby! 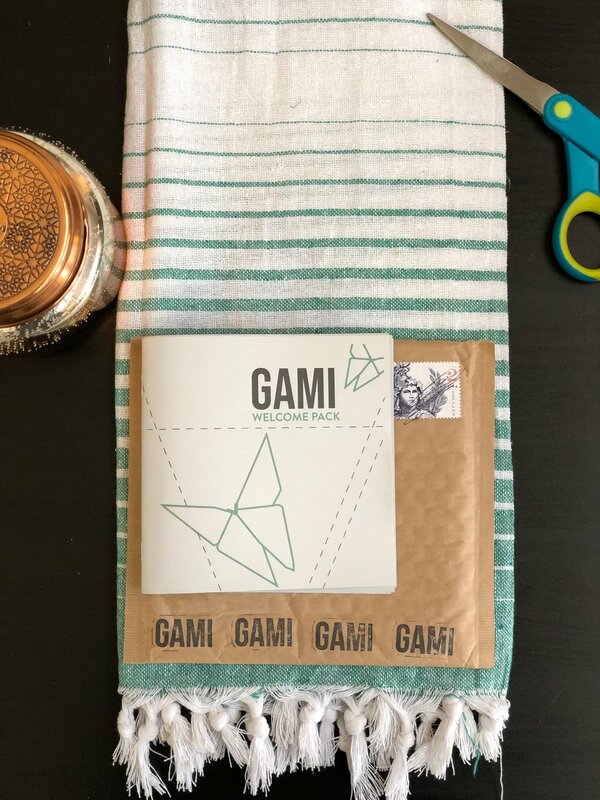 Gami is a monthly subscription box that sends instructions and supplies to learn origami. It’s aimed toward beginners, so anyone can enjoy it. Each month’s box has a new theme, centered around a specific skill or type of folded paper creation. You get an easy-to-follow instruction booklet for 4 to 8 origami models, and a variety of colored and patterned papers to practice with. I tried the introduction pack and the January 2019 subscription box from Gami origami. I really benefitted from the meditative properties of the simple movements and had fun building models. I loved the cute paper and great designs, too! Gami is a woman-owned business, and the founder believes strongly in the importance of wellness like I do. Taking good care of my mind helps me sleep, stay motivated and focused, and enjoy my life more. Gami is a great way to incorporate active meditation into a full mind-and-body wellness routine. I’ll be honest, as a recovering perfectionist, patience is hard for me. Patience is a virtue that I do not have haha so at times I found myself getting frustrated when I made a paper crane that with a little chunky, but my roommate helped me out and it made the experience even more fun. With anything, it’s important to reframe your thinking around failure and perfection. Know that good things take time and doing it over and over will help you improve. I was so excited when I made an origami cup and a heart bookmark, but it took me a while longer to get the butterfly down. Remember Progress > Perfection. I totally recommend checking out Gami and looking into active meditation. Taking care of your mental wellbeing is always worth it and you can even pick up a fun new hobby.